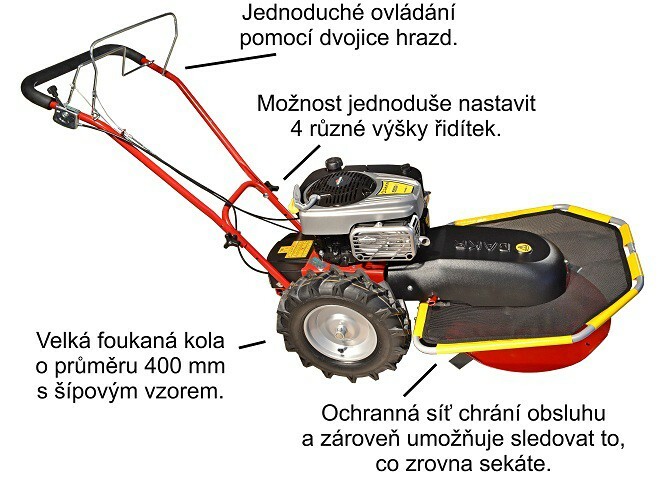 The most powerful machine from Tekton line with professional engine, iron cylinder´s sleeve, oil pump and filter and is suitable for municipal services and professional gardener too. The iron sleeve itself prolongs the engine lifetime 2 times. It also helps that the filter holds major amount of mechanical impurities and the engine is lubricated by cleaner oil. Tekton mowers are used for mowing of meadows and gardens at the cottages and family houses and even at the places where it is necessary to mow the grass every day for farm animals. 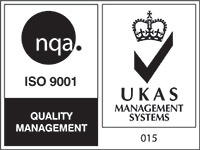 They are suitable for flat lands and slightly sloping grounds. 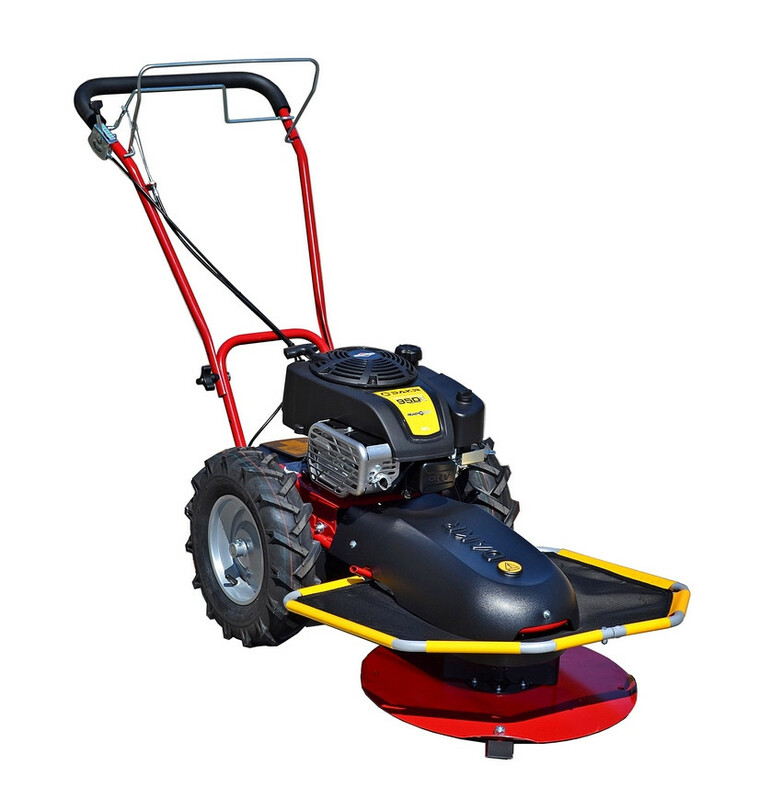 Thanks to their low weight and easy contol they are suitable for mowing of lands where there is lot of trees, kerbs, garden beds etc. The main advantage of Tekton machines is their original construction in connection with low weight and high hourly performance. The new from 2012 is a cover above mowing disc (protecting the operator from flying stones and impurities) and higher travel efficiency. 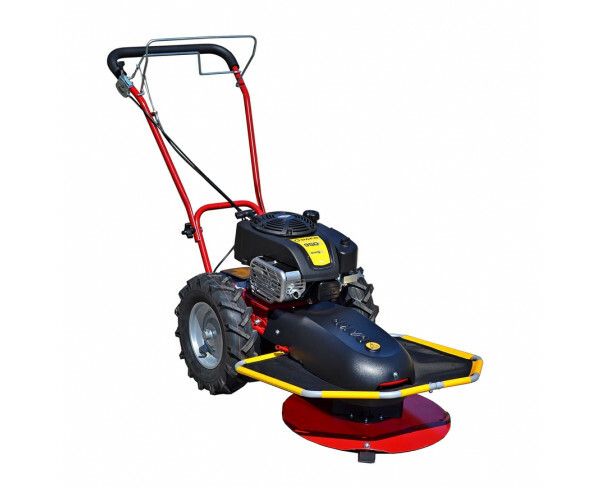 Tekton kit is a machine that can be variable used as a mower, a mulcher or a snow blade. All Tekton machines have the same construction. They differ from each other only in the engine´s type. A Tekton disc has 4 holes for 4 blades. We recommend to mow with 2 blades when you hay the grass for livestock and with 4 blades if you are going to compost it. A steel pivoting slider with bearing prevents from cutting of the blades in the ground on uneven terrain.